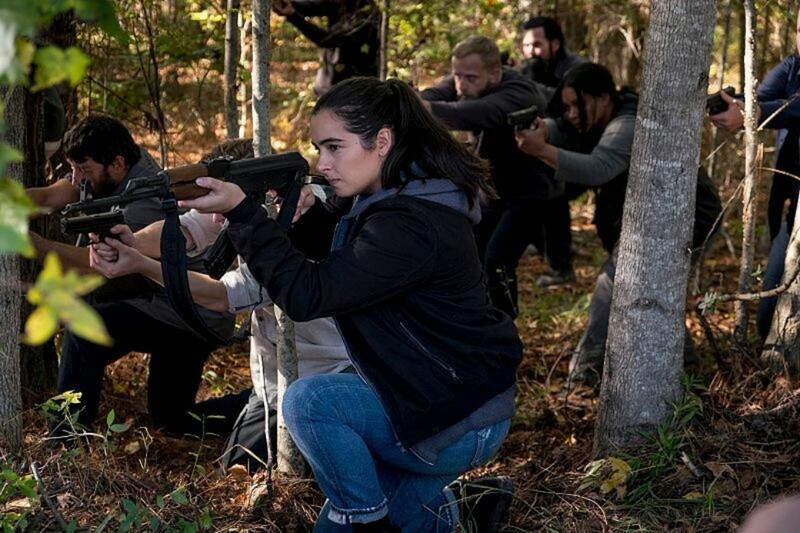 Following yesterday’s penultimate episode, the explosive conclusion to The Walking Dead‘s eighth season is now less than a week away. 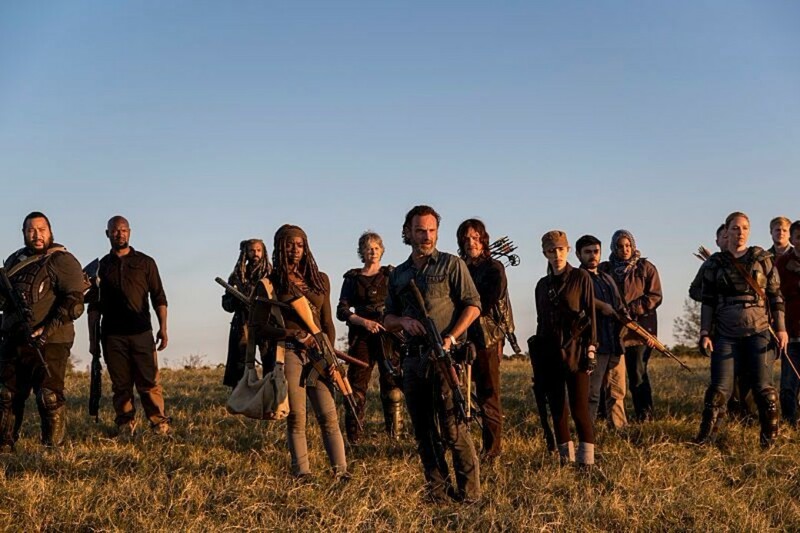 The finale, titled “Wrath,” is set to bring about the end of the “All-Out War” between Rick Grimes and his allies and the Saviors that has raged on throughout the current run of the hit AMC zombie series. 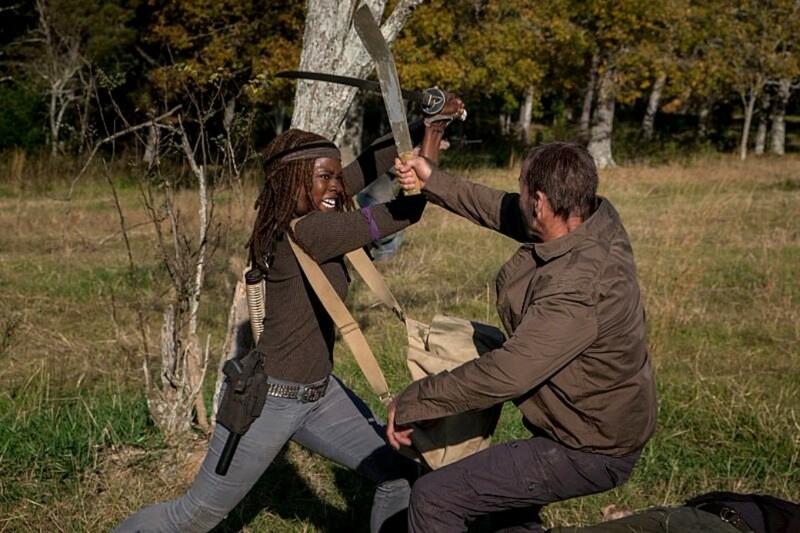 And these new promo photos (seen below) promise that it’ll go out with one heck of a climactic battle. 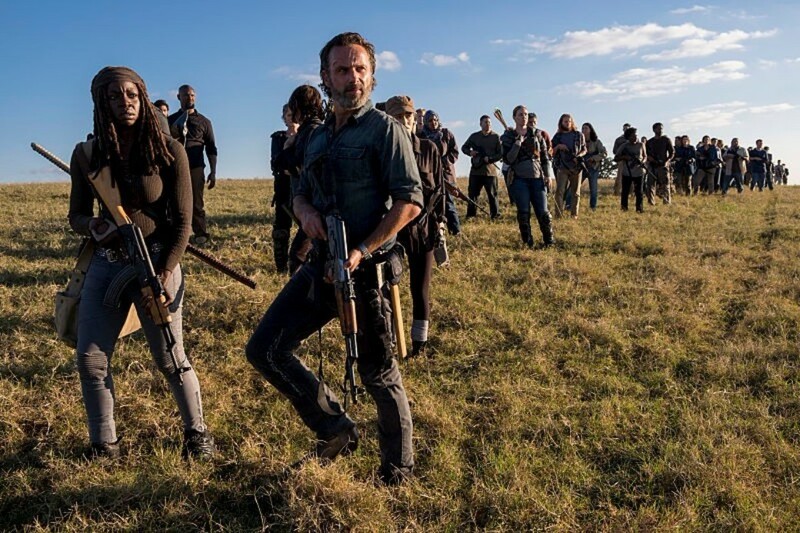 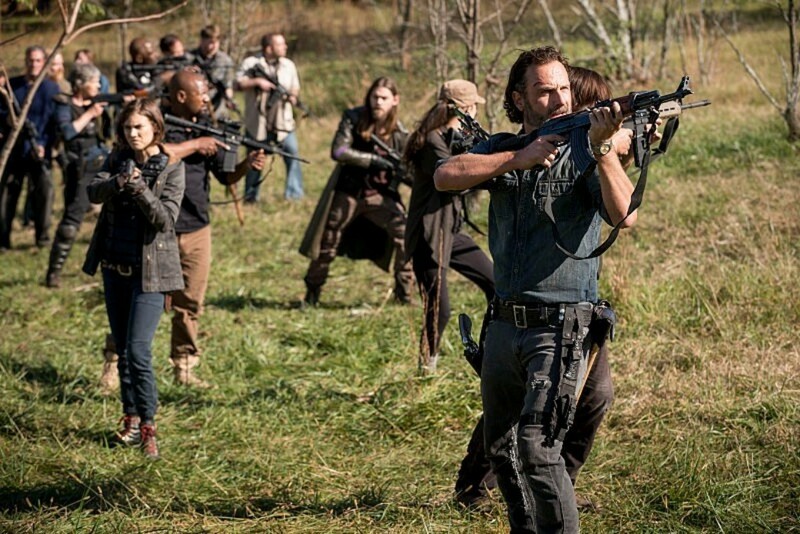 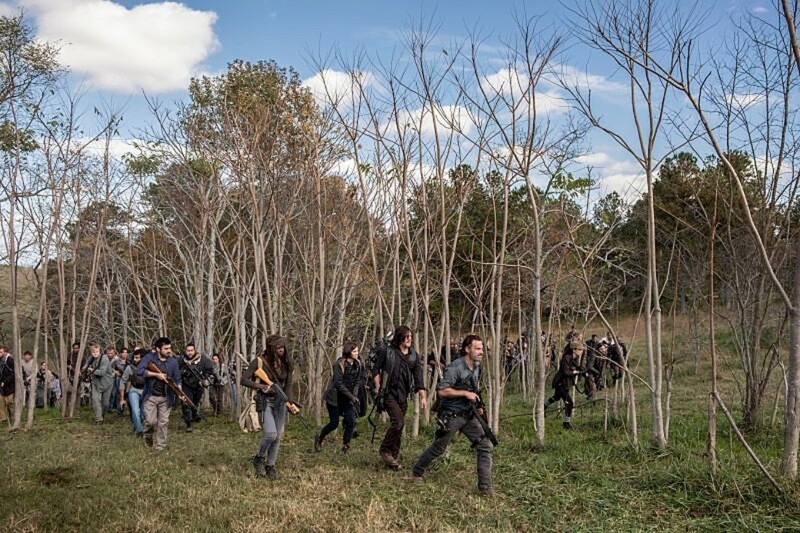 Rick and his closest friends – including Michonne, Daryl and Maggie – will lead the charge, while loaded with firearms, though some will prefer to use their natural skills. 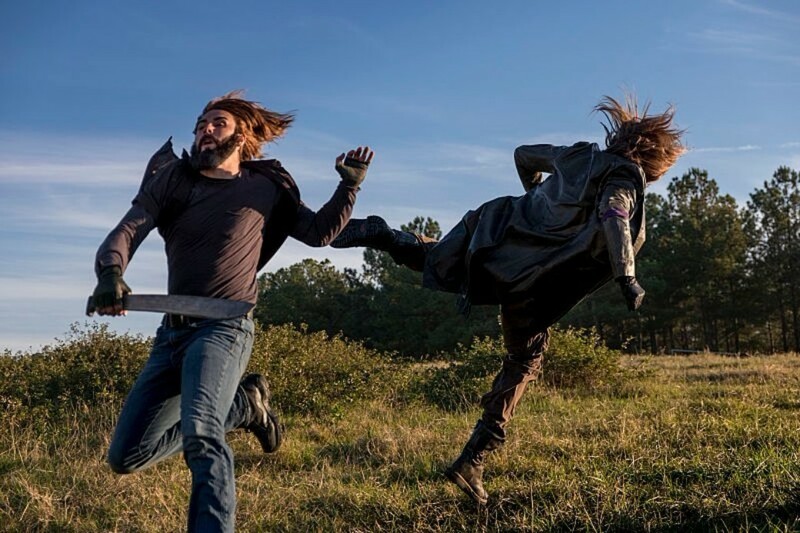 Lennie, for example, has chosen to go into battle with a spear and Jesus is depicted letting loose some of his martial arts prowess on a Savior. 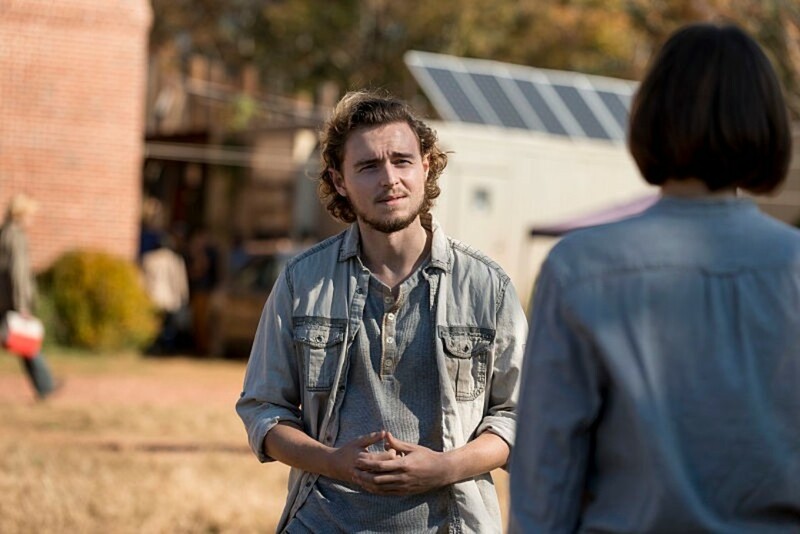 Meanwhile, other photos see Maggie talking with former Savior turned ally Alden at Hilltop. 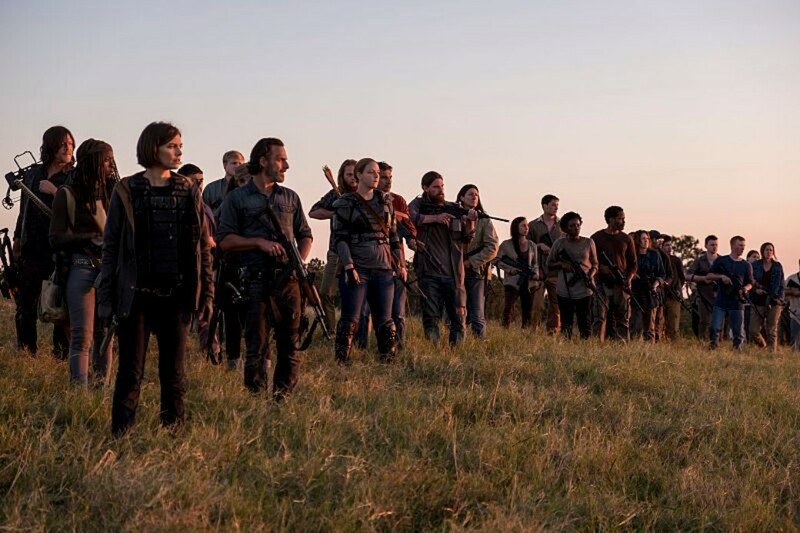 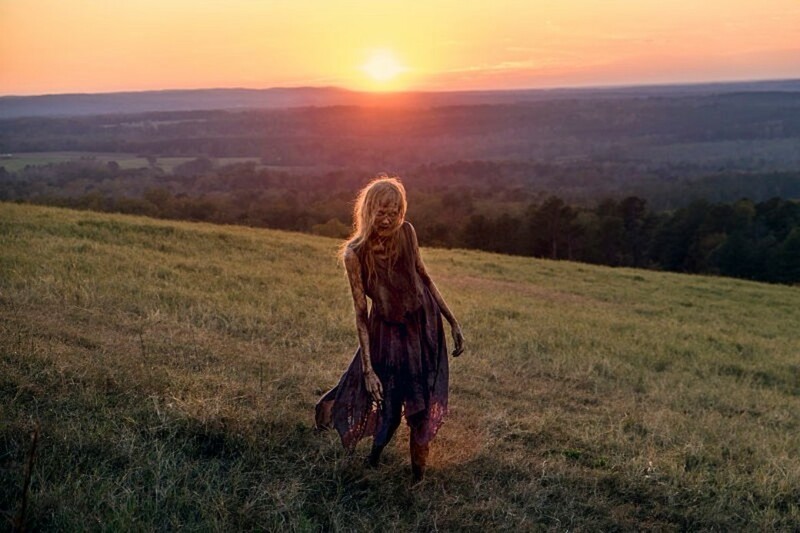 The most interesting pic, though, has to be the one that showcases a flashback to happier times, before the walker outbreak and back when Rick’s late son Carl was just a boy. 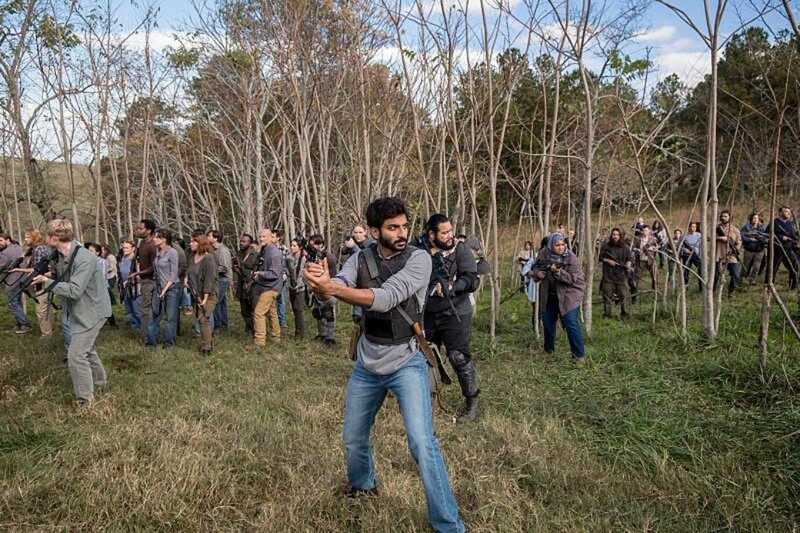 Those fans who’ve been paying attention will notice the importance of the fact this scene takes place at a farm. 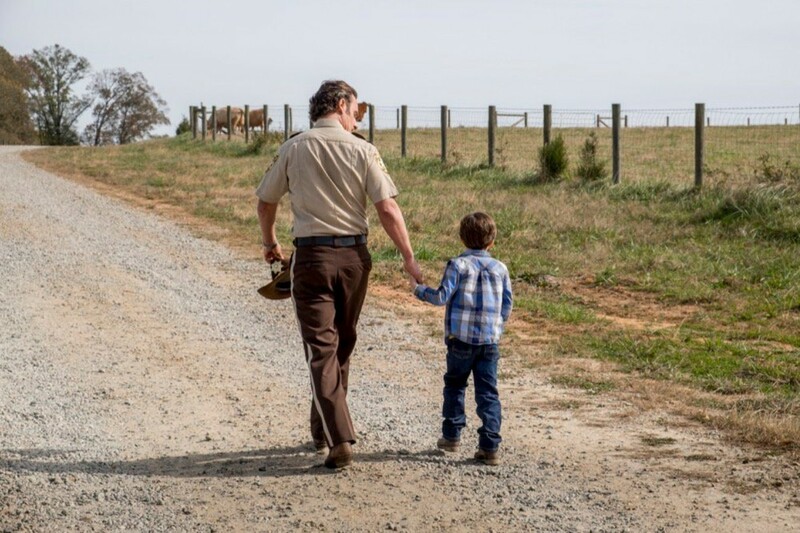 It calls back to what Carl spoke about in his last letter to his dad, in which he reminisced about the walks he and Rick used to go on. 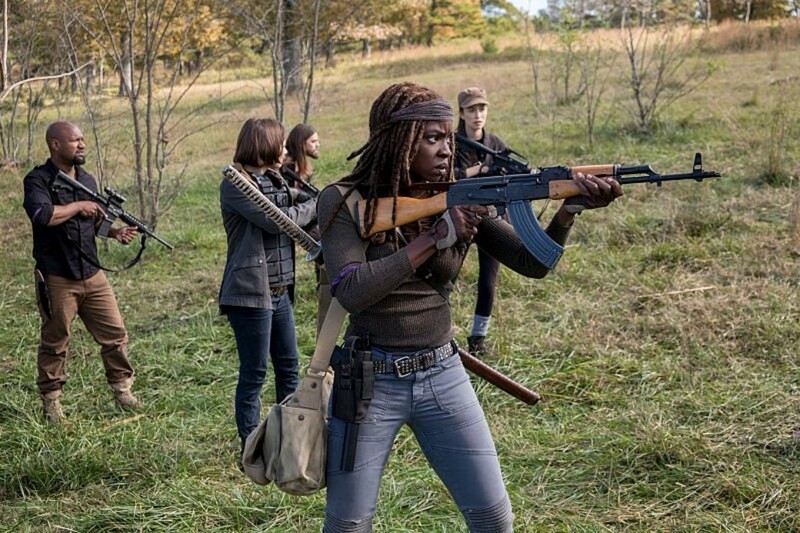 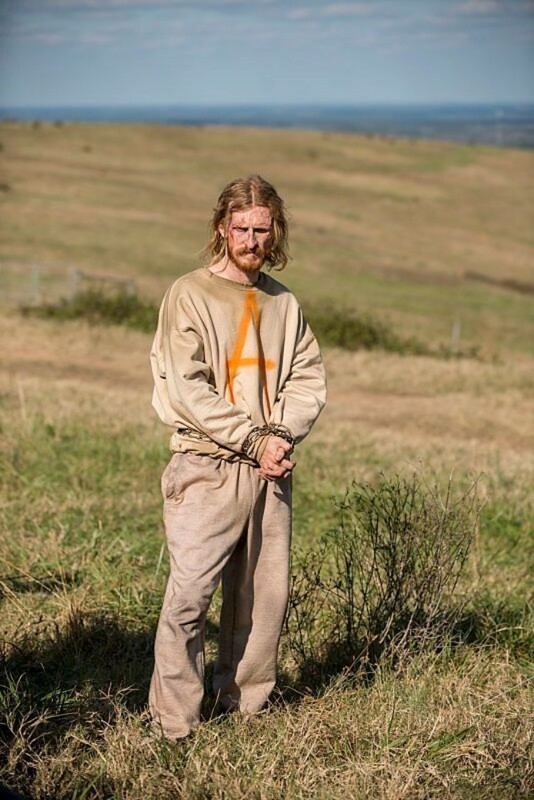 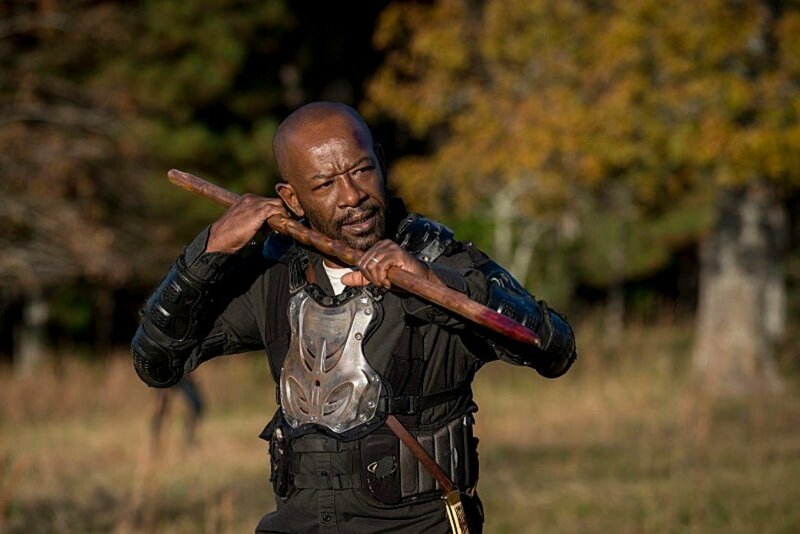 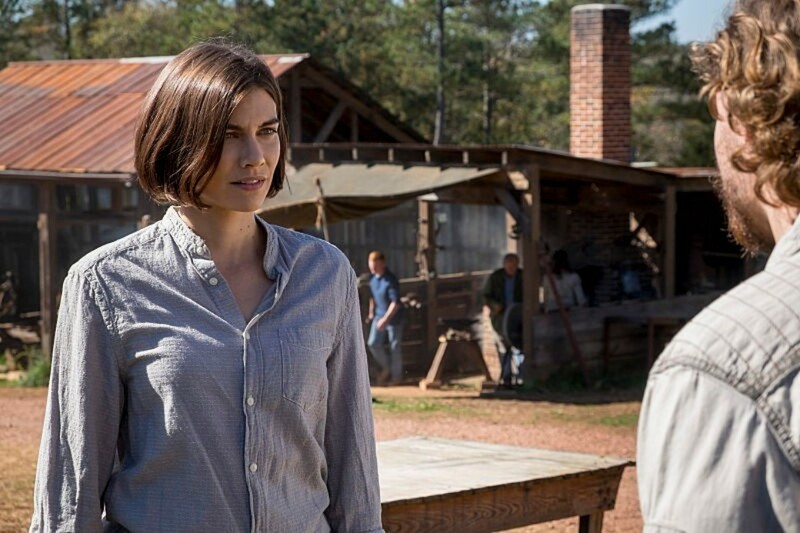 The Walking Dead 8×16 “Wrath” airs on AMC this Sunday, April 15th.